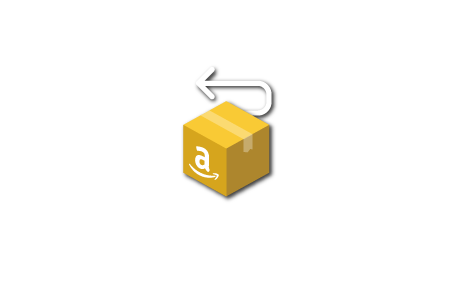 How to manage Amazon returns is one of those tough, complicated scenarios that regular sellers dread and FBA sellers despise. This stems from two things. But regardless of how much you try, you will still get returns. Some are of your own doing – some, beyond your control. But nevertheless, at the end the day, you’re left with no choice but to deal with it. So how does one manage Amazon returns effectively? If you find yourself asking the question of how to effectively manage Amazon returns and refunds, then this article might be of great help to you. Let’s start with what I believe is the first thing most sellers ask first. Can It Be Avoided? If Yes, How? As I’ve mentioned earlier, you can’t. But you can lower the possibility of getting them. You see most returns stems from buyers not being satisfied with their purchase. This may be because of bad product descriptions which most, if not all, consumer believes as a way of misleading them. And yes, such things do happen, be it on Amazon or in the real world. And it all starts with…. What I’m trying to get at here is that, “you need to describe your product accurately”. If you’re selling a faux leather wallet, state that it is. Don’t assume that you can get away with it, because you won’t. And when your customer gets pissed, you will not only end up with a return request, but possible a product that you won’t be able to sell for a profit. Another thing that you need to be mindful of is that “your product images must be accurate and clear”. Is that red or crimson? Not that big of a deal right? Well, for Amazon buyers, it is. Put yourself in their shoes. You go on Amazon looking for a crimson tie, but get a red one instead. Both shades may belong to one spectrum, but a red tie is not what you asked for, right? And the last thing is, “you need to do is provide excellent customer support”. Some might think that such a thing is not needed. That once a sale is made, that’s the end of it. Wrong. Retail is not about how good you are at selling things to 1000 people. It’s about how good you are in getting those 1000 people to come back and buy again. “Return Customers” that’s the key to a successful retail business. And at the heart of that is customer support. If you want to get more detailed tips on how to supercharge your customer support…..
Read this article: Why Amazon Sellers Need To Have Excellent After-Sales Support/Marketing? Now that we’re done talking about how to try and minimize buyers from using the Amazon return policy clause, let’s proceed to the meat of things. When it comes to Amazon Prime orders, customers are immediately issued a refund, by Amazon itself – way before the product is even returned. Amazon will then send the seller an email indicating that a refund has been made to the seller’s account. What you should do is keep a record of these emails by creating a folder which will act as a depository for said notifications. The importance of doing this is for you to keep a record of every refund you get, using it as a sort of verification that the item(s) should be returned to you within 45 days. Now there are times where a refund has been made, but the customer never returns the item in question. Yes, it does happen. When this happens, “usually” Amazon automatically reimburses you, after 45 days, if your item is not returned. I used the term usually because there are cases where sellers do not get a 100% reimbursement. Once this happens, then you need to manually inform Amazon about it. But before we get to that, let me first teach you how to know which items were returned, and most importantly, why. Go to the Customer Concessions section (located at the left side column) and click FBA Customer Returns. You can also generate a Returns Report by…. Click the Payments link under the Reports tab. Click the Transaction View tab. Prompt the filter view by Refund option, select the time frame, and click Update. Ok, now that you have established what items activated this Amazon return policy, let now go to how you can check to see if said item(s) have actually been returned. Get the SKU or ASIN of the item(s) in question using the method above. Go to your Seller Central page, go to Reports and click Fulfillment. Click the SHOW MORE option found at the left of the Inventory Section. Type in the Merchant SKU in the search bar, making sure to indicate when the item was purchased. You will now get a report for the entire activity for that ASIN or SKU. This is what happens when an item is returned to Amazon. An item will be manually inspected by an Amazon staff to determine if an item can be returned to your personal inventory as fulfillable or unfulfillable. If an item has been opened, it will be marked as “Customer Damaged” and will go to your fulfillable inventory. If the item was returned with any defect on it, it will be marked as “Defective” and will not be placed on your fulfillable inventory. But if a customer opens an item, without any damage to its packaging, and so long as it was not returned as “Defective”, they will return it to your sellable inventory. Now isn’t that nice of Amazon to do all of that for you? But to make sure that no future issue might arise, I strongly suggest that you request the item(s) to be sent back to you, in order for you to personally inspect it. You see, the people that inspect these returned items need to go through a lot of them in a single day. And sometimes, they may miss a few important things that could lead into another future return. Now don’t get me wrong, I appreciate the effort Amazon does in trying to lessen the burden of its sellers. But at the end of the day, shouldn’t the seller have the final say about the state a returned product? Usually, a returned item is a sure way to know that you have a new negative feedback on your account. Now I won’t go into details about how to minimize negative feedback, as we have written tons of content about this specific topic. And why not! We specialize in getting positive seller feedback and reviews from Amazon customers. Going back, what you can do is reach out to your customer. Ask why he/she specifically returned your product. Ask what you can do to make up for things. Getting in touch with your customers makes them feel important. That you are not taking them for granted. That you are an honest and legitimate business person that cares about customer satisfaction. As former Amazon sellers ourselves, we at SellerLift understands the importance of creating a relationship between seller and buyer. And that is why our Amazon feedback management app includes templates for Product Returns. Each template was written with the purpose of minimizing any negative impact towards your brand because of the return. Also, you have the option to customize the template to include specific details and taking points you want to include. And the best thing is that, you can can try it for FREE. So, if you’re interested in a return management tool that can help you with damage control, while at the same time help increase your positive feedback and reviews, then sign-up for a FREE 15 Day trial NOW! As you now know, there are a lot of factors as to why an item is returned, and what to do once you get those return emails. But I/we hope that through this how to manage Amazon returns article, you now have the understanding of how to handle them, as well as save you from a headaches. As always, have a great day. And I’ll talk to you next time.